Here are my favourite 10 blog posts and articles from June 2016. 1 – We start with another great infographic from Arun Pradan: Work is Learning (how to burst the training bubble) – shown right – which summarizes a lot of the work from us in the Internet Time Alliance. 2 – In The Driving Test: the canary in the mine for formal training?, Charles Jennings compares learning to drive a car to other skills acquisition processes. 5 – But when it comes to planned learning, Michael Simmons explains, in Why Constant Learners All Embrace the 5-Hour Rule, how Benjamin Franklin did this 1 hour a day, 5 hours a week, and why you should do it too. “Throughout Ben Franklin’s adult life, he consistently invested roughly an hour a day in deliberate learning. 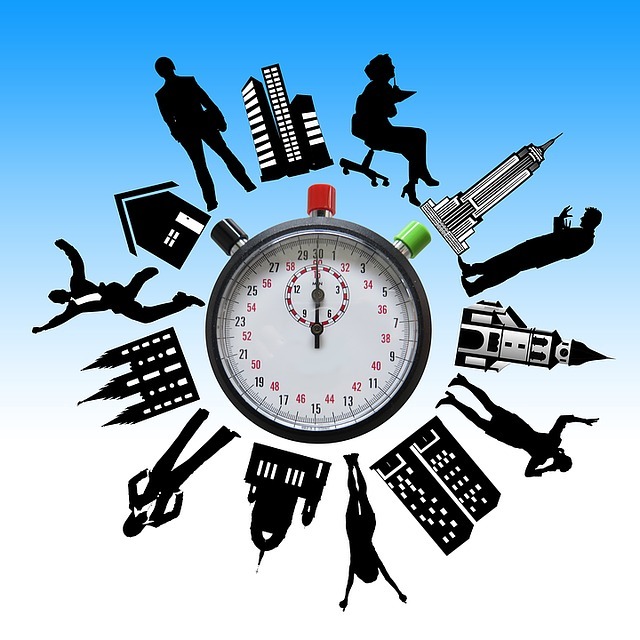 I call this Franklin’s five-hour rule: one hour a day on every weekday … Every time that Franklin took time out of his busy day to follow his five-hour rule and spend at least an hour learning, he accomplished less on that day. However, in the long run, it was arguably the best investment of his time he could have made. A third of workers are not satisfied. 7 – Victor Lipman asks a good question, Why Do We Spend So Much Developing Senior Leaders and So Little Training New Managers? In my view, it doesn’t require formal training, of course, but at least a supportive environment for new managers whether it be a coach, mentor or community of practice. 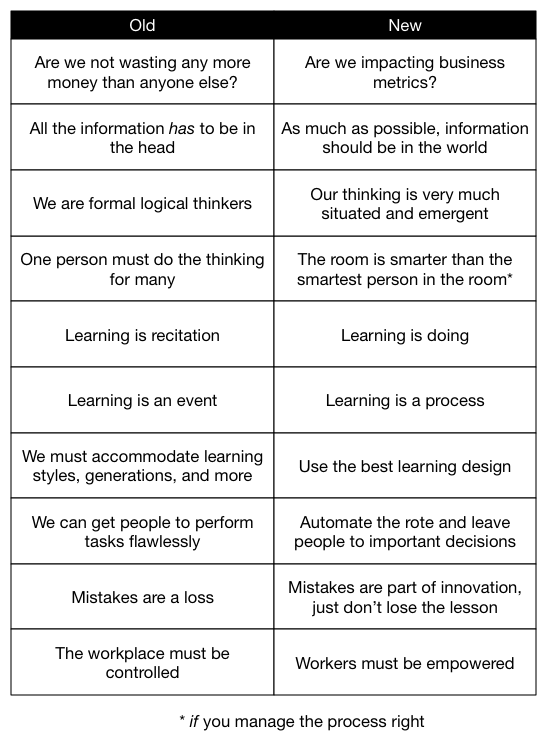 8 & 9 – In Organizational Learning Engineering, Clark Quinn produced a table representing just some of the tensions between what L&D (Old) practices and what we now know about learning (New) – see image left. This post reiterates a lot of my own writing: You can’t force participation and furthermore, activity does not equal engagement (or learning for that matter)!